Azreal is the king  of the dark wolves. He is known for being relentless and cruel. There are two pack the light and dark. Evelyn is a member of the light wolf pack. Her parents passed away in an attack from the dark pack when she was young. She was then raised by the pack. One day when she was running the border of the pack a group of wolves from the dark pack arrived. Alone and surrounded she finds herself face to face with the Dark King himself. He's the reason her parents were murdered. And what a cruel twist of fate to find out that he is her mate. Make sure to vote and follow!!!! "We all have our secrets and experiences. But then again why would you care I'm just a monster of a mate to you." "The truly dark things sometimes hid behind the the light." The stories I've read over the years that holds the same repeated words "I love you," have ruined love for me. All the events in the fantasy's have been the cliche everyone loves, it became a hated file in my mind and heart. A arbitrary moment is what I would love. Like a moment in school you walk in class and there is a card with your name on it waiting, containing someone's love just for you with no signature left leaving you in confused, hazey, excited moment. Knowing your secret admirer was near by and waiting for you, leaving clues as to who he is. A random love not a cliche! Different. Don't we all want that. Well, Kate doesn't get a random love instead a rejection. I was taken away from the only place I called home. I was used as a blood-bag to those filthy creatures with fangs, just for money. I guess I should feel lucky that I'm not dead...but I wish I was now that I knew a certain bloodsucker with a crown wanted me for eternity. The first book of the Young Blood series. I'm Jessica Wolveshire. For a normal human being I got used to the idea of the impossible a little too soon. I always wanted that there would be a forever for all of us. But, sometimes forever isn't good enough. Now, I'm stuck with a bipolar alpha. He has Major Mood swings. He's a little too fit.. He's a big teddy bear at the same time. And I think I'm falling for him. But I'm not sure what he feels. This isn't a story about revenge, blood or murder. It's about the usual bipolar alpha and the usual sweet and innocent girl. This is a story of normal people and normal loves except the fact that werewolves play a huge part in it. It has been years since the humans have been dethroned, it has been years since the werewolves have taken over. 100 years after the war, everything seems peaceful. No, everything seems too peaceful. The humans haven't revolted in 30 years, it is impossible to think that none of them desire freedom. Is it the calm before the storm? Amara has witnessed this werewolf-ruled world for all the 19 years that she has lived. Abandoned when she was just an infant, she was adopted by a werewolf couple who treated her nothing less than a family. She doesn't despise the werewolves, she just wishes that both the species could live together, peacefully. Elias Wright, one of the most ancient werewolves, is also one of the werewolves who had led the werewolves during war. Every year, in the month of December, he goes to different towns along with his accomplices  in search of his mate. Just like every other years, this year also seems to have been in vain. The city of Oricos seems to be their last stop, they arrive just in time for the Christmas celebrations. Will his luck change here? Will he be able to find the one piece that he has been looking for years? King Titus is the king of werewolves he is the harshest of them all. Then there is Mia her dad is beta to the dark moon pack but she is nothing like him being the youngest out of her siblings she is the shy one of the pack everyone thinks of her as weak. But what happens when the two meet ? Two complete opposite. This is just a book of my upcoming stories that will be coming out soon! I will also give stories away if someone asks for it. No copying my ideas! Only if you specifically ask me! He didn't love, he didn't know how. Clara Kent had always thought being a human was perfectly normal, that was until she was kidnapped by a pack of wolves. Nicolai Cohen had never believed he would find his mate, after years of searching the world she was nowhere to be found. But one night in the woods changes everything after something draws him to Clara, he soon discovers that she is a vulnerable human. However, Clara doesn't feel the same, after he claims her and refuses to let her go home she defies him in every way possible. Being the first to reject him, Alpha Nicolai Cohen does everything in his power to make her fall madly in love with him. "Will you stop being a brainless jealous jerk for once Xander?" I exclaimed to him. His nostrils flared with anger and the intensity with which he was looking at me was doing something within me, I felt bothered. "I'm not jealous. Why would I be?" He spat angrily but with no eye contact. "So, you're not?" I challenged him. "Nope." He said with seriousness but I know him well. "Then don't you come barging through the door interrupting my date and ruining it. I have my own life to live which doesn't involve you." I said the exact same words he said to me earlier. "Fine. I won't ever try to meddle anymore." He said and then started to make his way towards the door. But I know him well, I am his mate after all. I know what he feels. He is broken inside and out. He wants me to push away just because he thinks that I being near him destroys me. I made my way towards him before he could turn the knob of the door of my bedroom to leave. I jerked him towards me with force. And I did the next impossible thing I'd ever do. I kissed him. He didn't respond to me and tried to pushed me away. But his attempt was futile. I pulled back to kiss him hard again. I pressed myself to him, to feel the warmth of him. My hands were in his hair desperately trying to make him react. And I succeeded in my attempt. His hands which we were on his sides wrapped around my waist and brought me impossibly closer to him. 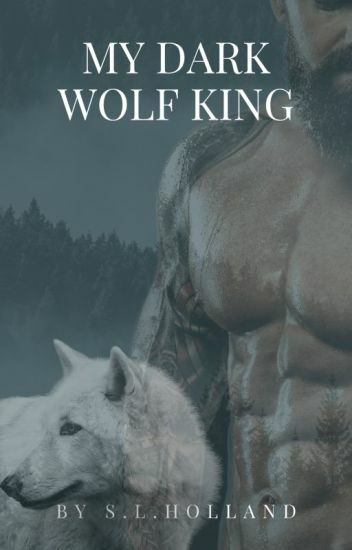 Xander King is ruthless, cold, possessive and a feral werewolf with the darkest soul. Shailene Wolfe was sweet, caring and a loving wolf. But she wasn't one to be considered weak. She knows how to fight for her right and others as well. She was never a quitter. Xander always wanted to have a mate but he knew he wouldn't jeopardise her life by mating her. He has hungry wolves waiting to seek revenge from him and his position. After all he isn't just a King by mere surname. He is the Alpha King. So what happens when he is mated to Shailene Wolfe? Read to find out. He is the most powerful Alpha in the world right now and I am just that innocent little wolf. He is my mate but he doesn't want me. will I ever earn his love ? or will I ever change him ? in the end he is the most cruelest werewolf ever. "No female wolf has ever hidden well enough not to be caught...so I plan on being the first." Meet Amelia Gray. She's a strong independent she-wolf with more than a little bark in her bite. When the mating ceremony is held Amelia is forced to go, but this is her first year and she cannot help but feel nervous.The stories she's  heard are brutal. Amelia participates in the chase, and get's close to winning too, but what happens when she gets captured by a possessive alpha who's more than she bargained for, meets a celestial being who just happens to be the Alpha kings future mate, and fights in a war to free all females from ever having to participate in the chase again? Find out in CHASE ME ALPHA. Disclaimer: Story and characters are mine. Warning⚠ There will be cussing, mature Rated R scenes and possibly gore-read at your own risk. Chapters may take time to update and edit.